Located in the Seven Dials area of Convent Garden, the Escapologist Bar offers a large selection of classic cocktails with a high-end Pizza menu. Become a member of the secret society for the evening and enjoy taking in Victorian history. 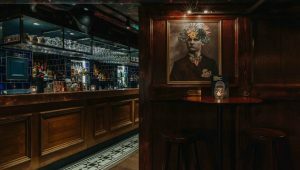 Located in the Seven Dials area of Convent Garden, the Escapologist Bar offers a large selection of classic cocktails with a high-end Pizza menu.